Liquidation Channel visits the Tucson Gemshow. When gemstone and jewelry traders from all over the world flood the city of Tucson for a two-week trade show spectacular, the Liquidation Channel (LC) shows up in full force. During the first week of February, LC’s team scoured the city in the search of beautiful gemstones and exciting jewelry pieces to bring to their home-shopping channel. The Tucson Gem, Mineral & Fossil Showcase is a multi-exhibit event that covers the city in a sprawling bazaar of gem and jewelry wholesalers. Vendors sell everything from boulder-sized rough gemstone to finished jewelry pieces, and show locations can vary from huge hotel ballrooms to road-side pop-up tents. Thousands of treasure hunters negotiate and haggle for the best deals for their retail shops. For more information on updates and specials, stay tuned to http://www.liquidationchannel.com/ or http://www.facebook.com/shoplctv. About Liquidation Channel: Liquidation Channel (http://www.liquidationchannel.com) is a global leader in direct sales of colored stones, diamonds, precious metals, and a variety of luxury goods and innovative products. 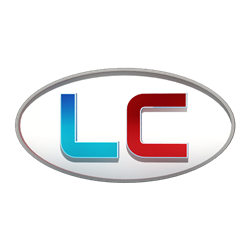 Through a precisely and fully integrated system, the Liquidation Channel specializes in delivering Exceptional Quality, Exquisite Designs, and Outstanding Value, while providing a low-price guarantee on each of its products. The store’s unique jewelry is available online at LiquidationChannel.com and on DirecTV Channel 75 and 226, Dish Network Channel 274, Verizon FIOS Channel 152, ROKU, AT&T U-Verse 399 and 1399 (HD), and local cable channels.